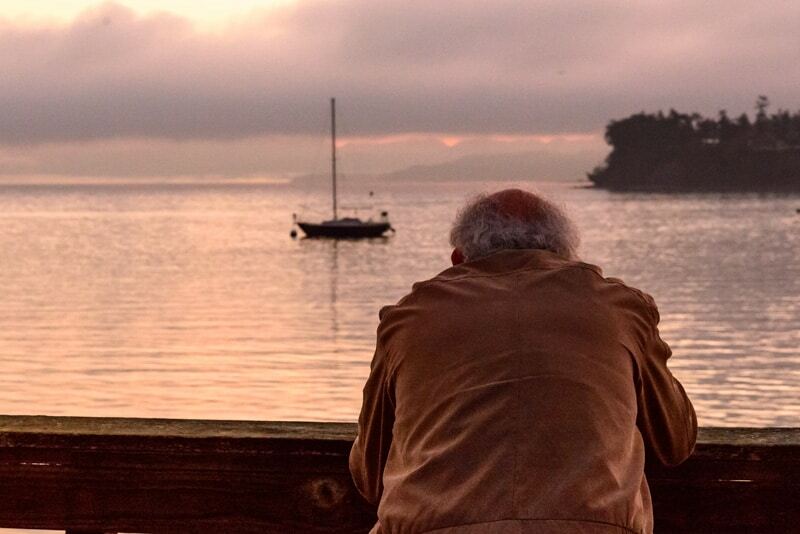 What is it like taking a class from an internationally known photographer at Whidbey Island’s Pacific Northwest Art School? The sun rises behind the Coupeville Wharf. “The light will start getting good in about 20 minutes,” Jack Graham told me. I was thinking to myself, “We’re talking about light here, so I must really be in an art class. 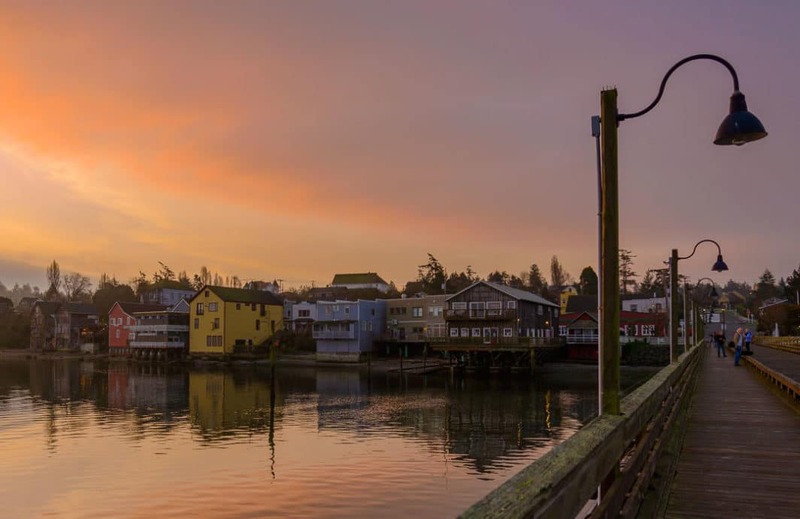 Who woulda thought?” Granted, it was 6 in the morning on a Sunday and we were standing on the Coupeville wharf waiting to photograph the sunrise, but it was still an art class. After 40 years of ducking and dodging, a run I began in middle school, there I was—art class. The Coupeville-based Pacific Northwest Art School had tempted me before. The school is a rare place where masters in all sorts of arts come from all over the world to teach. My interest, or hobby, or part of my skill-set—whatever you call it—is well represented at the school with master photographers teaching the skills needed to take photographs that can rise above the image-static that we endure daily. The best time to photograph, Jack explained, isn’t at sunrise and sunset– it’s the few minutes before sunrise and after sunset. Hedgebrook has offered women writers residencies, retreats, salons, and workshops on a 48-acre farm since 1988. This haven has offered support and community to students from all over the world. The Northwest Language Academy offers immersion weekends, classes, and events that feature the food, culture, and of course, language from many countries around the world. The Pacific Northwest Arts School offers 80 plus workshops in mixed media, painting, photography, fiber arts, and more. Around 55 instructors teach courses to more than 500 students yearly. Langley’s Whidbey Fine Arts Studio offers painters workshops and classes with local and nationally-known artists sharing their knowledge in an intimate and encouraging environment. 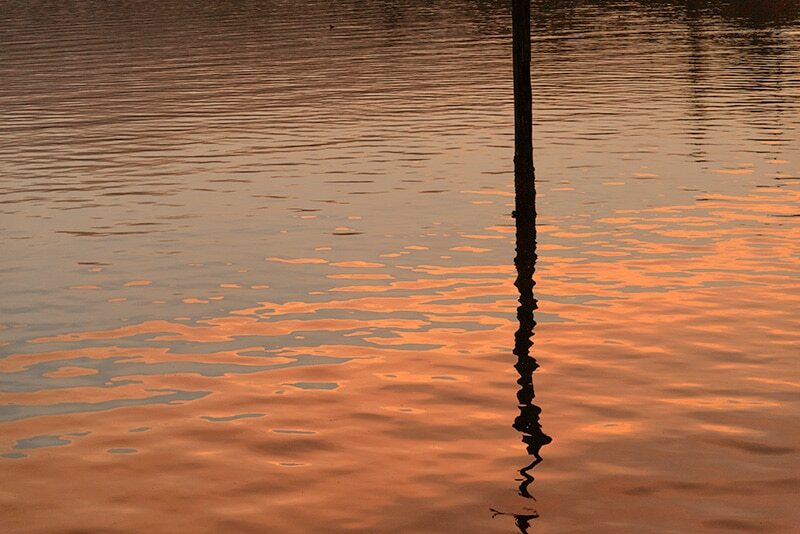 The morning sunrise is reflected in the waters of Penn Cove. 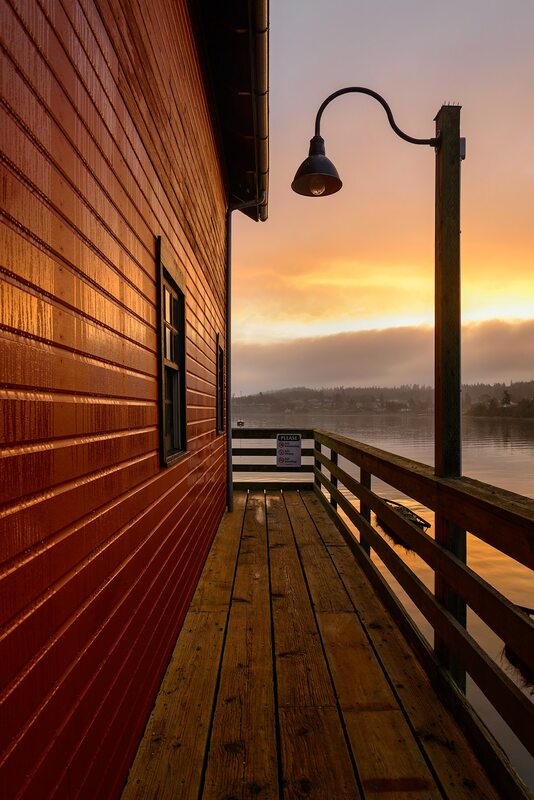 Even before sunrise, Coupeville was already beginning the day. Shortly after we got there, the gulls rousted themselves, flew about and squawked for several minutes before taking their place atop the roof of the wharf. The sound of pans banging carried across the water, probably from one of the places that would soon be serving Sunday breakfast. A sea lion momentarily poked his head above the water to watch us, before resuming his search for breakfast. A small sailboat that would be both an inspiration and a distraction for our photographs, tugged at its mooring rope, the morning wind urging it to run away, or run aground. As an often-published photographer and an experienced photography teacher, Jack Graham is a big deal in the world of outdoor photography. Students travel to places like Iceland and the southwestern deserts to take his classes. They also travel to Whidbey Island, where he offers several classes and workshops a year. This workshop was one of 80-plus workshops on the school’s schedule this year. More than 500 students attend, more than 80 percent from off the island. The popularity of the classes allowed the school to test the idea that even February classes that involved time outdoors could draw students. The mid-summer months are packed, with the school’s two classrooms almost always busy. For this workshop, two students were staying at nearby bed-and-breakfasts. The rest of us were island residents. On this morning Jack narrated to us what he was trying to do with his camera, what things he was looking for, what his professional mind was seeing. Some of us tried the same techniques; the result mostly being more images we would later delete. Later that day Jack would tell us about seeing legendary landscape photographer John Shaw sweep a table full of slides into the garbage while telling an aghast Jack, “You only see the good ones.” I was happy technology had moved forward. The low light of early morning along with the lazy swinging of the sailboat meant long exposures were both required and impossible. Opening the camera lens long enough to absorb the pre-dawn would mean the boat would be caught moving and, therefore, would be blurred. We fiddled with angles, twisted knobs and pushed our shutter-release. A student steadies his camera to capture an art-worthy photograph. The weekend workshop was a blend of classroom work and outdoor picture-taking sessions. “You have to make the effort” to be a photographer, Jack told us during one of the classroom sessions. He showed us several images taken at Washington’s Trillium Falls and showed how moving the camera just a few feet created a whole new photograph. “I’ve been to this waterfall 200 times”, he explained, noting that the place is different every time he visits. This Sunday morning photo session was actually our second of the weekend. The first, late Saturday afternoon, was at Coupeville’s Sunnyside Cemetery. Bright afternoon sun had chased away the morning fog. This historic hillside cemetery commands a view of Ebey’s Reserve, a blend of historic preservation and modern life so unique it’s actually a national park where people live and work. That view was our goal this pre-sunset golden hour. Freshly plowed farmland was just in front of us, ultra-dark brown and rich with promise. Further out, there was green grass—farmland waiting for spring. To the right, the waters of Puget Sound and the ship traffic of Admiralty Inlet framed the scene. In the middle, but off in the distance, unassuming but somehow still commanding, the historic ferry house glowed in the sun. That would be the photo. But there were problems. First, there was another house in view right behind the ferry house. I walked the ridge trail. That morning Jack had encouraged us to walk around to get the best angle. He said “not to be lazy” and, “don’t care about time” when taking photographs. So, I walked. The angle slowly changed and the two houses were no longer aligned. But, now there was this car. Where had it come from? This bright red modern machine was now parked near the house and was ruining the mood of this historic scene. I kept walking. The ridge trail is part of one of Whidbey Island’s best-known hikes, the Bluff Trail at Ebey’s landing. The trail takes you from the beach up to a beautiful view of Admiralty Inlet. On this sunny day, the trail was full of people taking in the sun, the sea, and the joy of being out. So, the walk was not a hardship. “Even if got nothing,” I reasoned, “I was out on a beautiful day.” Finally, I had gone far enough that neither the car nor the other house would “contaminate” my shot. My problem now was that, besides the house, there was this beautiful shot of the inlet, and in the distance in the other direction, snow-capped Mt. Baker was just daring me to take a shot. The hikers were also silhouetted against the afternoon sky, and this nearby sun-lit old-fashioned split-rail fence post glowed its rustic gold. My mind echoed Jack’s words. “Slow down and simplify.” I thought through my process, pressed the camera’s shutter release and viewed the shot. I changed a setting and tried again. I repeated that a few more times and decided that, for better or worse, the pictures I had taken were as good as they could be. Was I being an artist? Was this slowing down? Was I simplifying? I couldn’t just walk away from the other shots. I changed lenses for a wide-angle image of the inlet. It was the kind of view that pulls visitors to our islands; a sunny day, a blue sea and its island beach below and the warm promise of spring all around. I don’t think either photo was something you could call “spectacular” or even “art.” I doubt any of the photographs I took that weekend rose very far above the noise. But, they were better than they would have been before the class, and that’s progress. I busied myself with further photographing the wharf, first taking close-ups and then driving a few blocks to Coupeville’s Captain Coupe Park for a wider perspective of the wharf. The fog softened the colors, giving me a pastel palate. Occasionally, I got a bright wharf red to work with, enough to keep me taking pictures. I wondered if this wharf would be my response to Jack’s waterfall visits. Would my visits here eventually number in the hundreds? Later that Sunday, there was more classroom work. Jack discussed images we took and showed us ways to coax more drama out of nearly any photograph. Some ways involved computer-assisted techniques, others involved using your eye to properly compose a photograph. “The mind likes odd numbers,” he said, emphasizing an image of three blooms among some water lilies. “Simplify,” he emphasized nearly a dozen times that weekend. “Where better to hear those words,” I thought, “than this place.” An art school, Whidbey Island, some work, some play—what could be simpler?